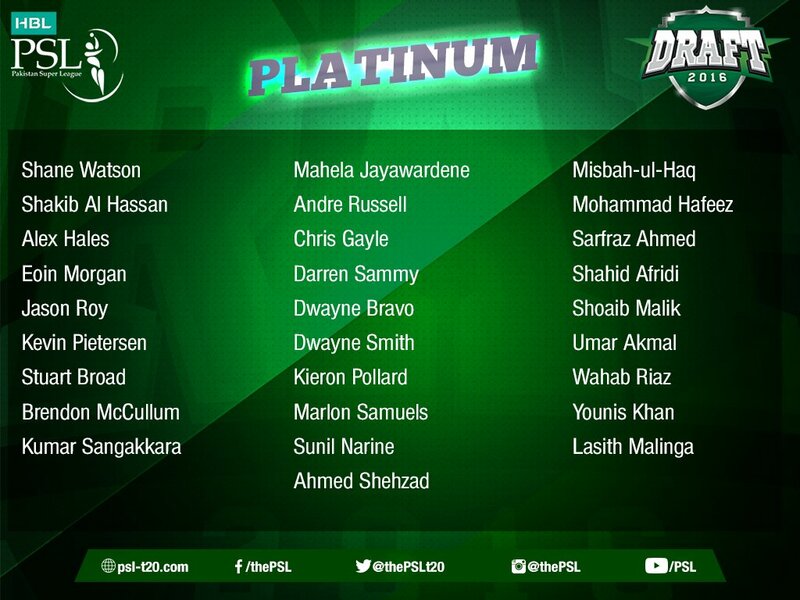 Top foreign players have been roped in for the 2nd season of Pakistan Super League PSL 2017 in UAE that include players from almost all major cricket playing nations like Australia, England, Bangladesh, South Africa, Sri Lanka, West Indies and other countries. 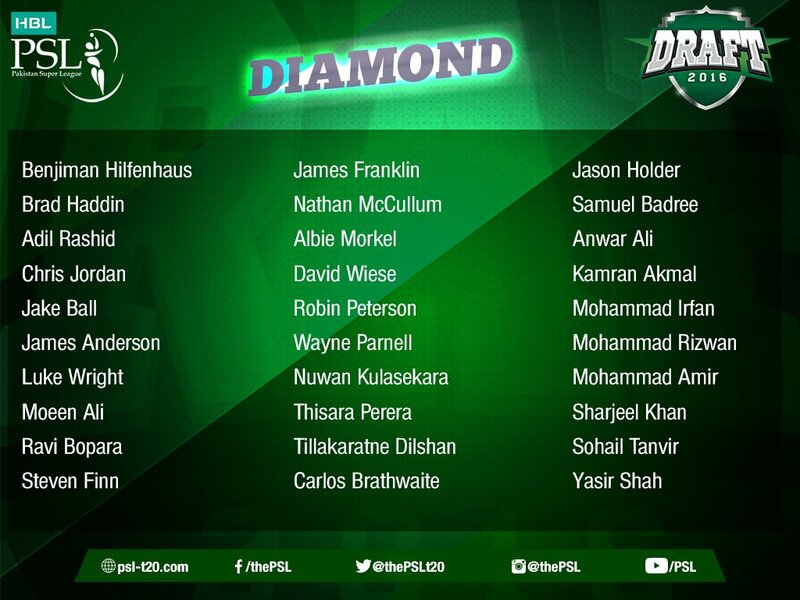 PCB has first drafted a preliminary list which is consisted of players who have consented (mostly written) to play for the PSL. 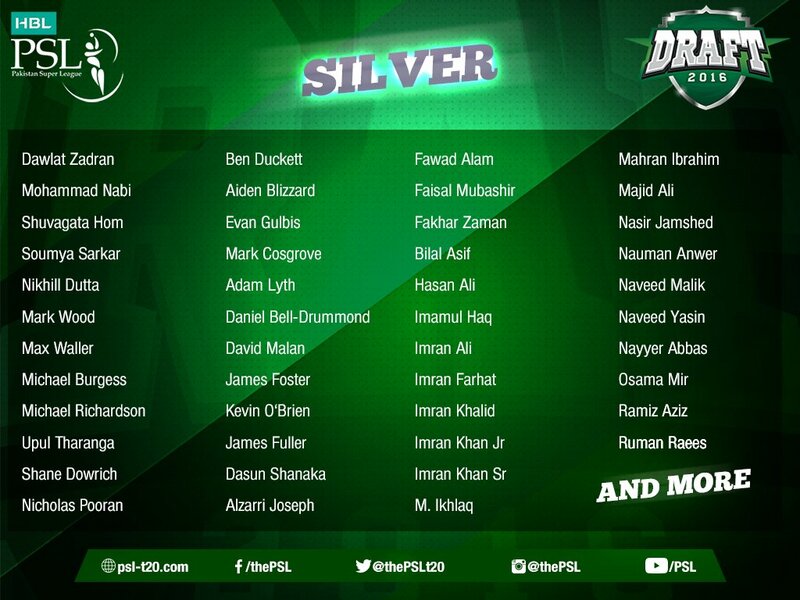 A final list of players will be finalized through drafting. 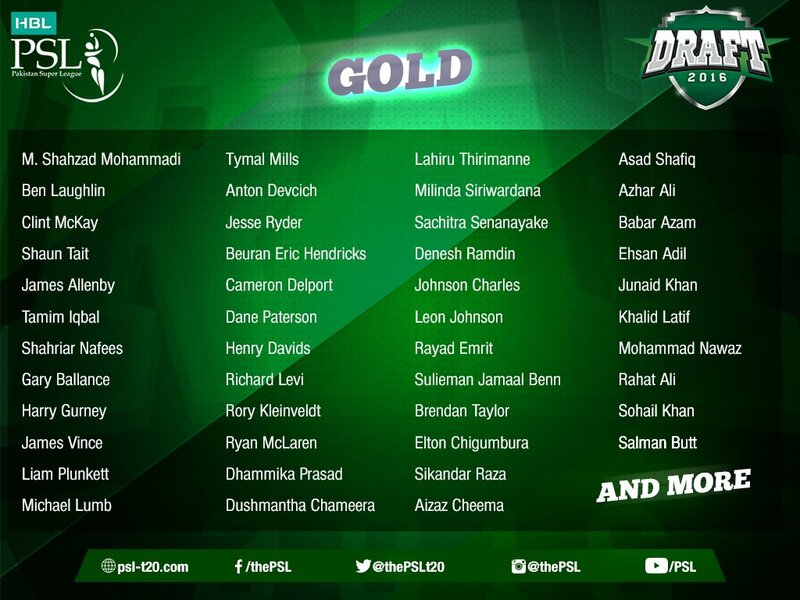 All Players included in PSL T20 draft will be distributed in five categories according to experience and pay scale; Platinum, Diamond, Gold, Silver and Emerging.